For me, the fall season starts with the arrival of Vogue's September issue. Mine squeezes into my tiny mailbox in mid-August. Usually the cover is a surprise, but this is Vogue's 125th Anniversary year so the cover was plastered all over their social media all summer. If you're really into Vogue and collect the Septembers, you can get an Anniversary edition: a boxed magazine with a painted cover that will only set you back $250. 1 book excerpt - Manhattan Beach by Jennifer Egan. Depressing, of course. There is a Happy Birthday Vogue section that spans 148 pages (which is basically ads with Happy Birthday plastered on them. Except for Marc Jacobs, who's in drag.) Best one: The Row - the Olsen Twin's insanely successful line - which simply said Happy Birthday in plain san serif type on the right side of a 2-page white spread. 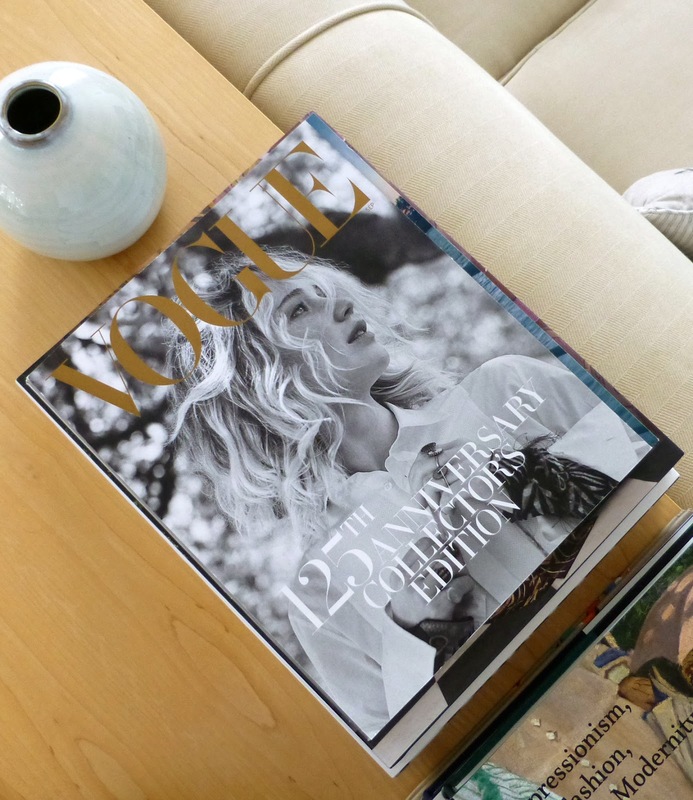 89 companies wished Vogue Happy Birthday.